← There is still time to plant seeds! 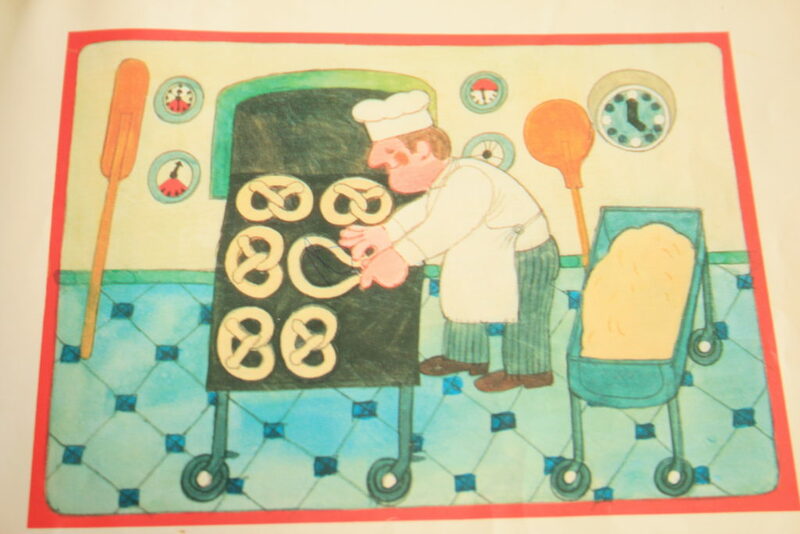 Topic: The process of producing a loaf of bread from start to finish. Text load: Simple sentences, several per picture. Written in the 70s by German author Ali Mitgutsch, these Start to Finish books don’t have all the glitz and color of modern books, and I find it rather refreshing. 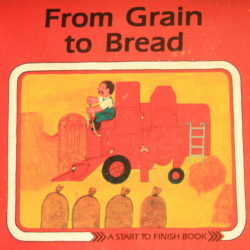 They are simple children’s books on the processes of producing commodities we likely all take for granted, but of course many kids have questions about! 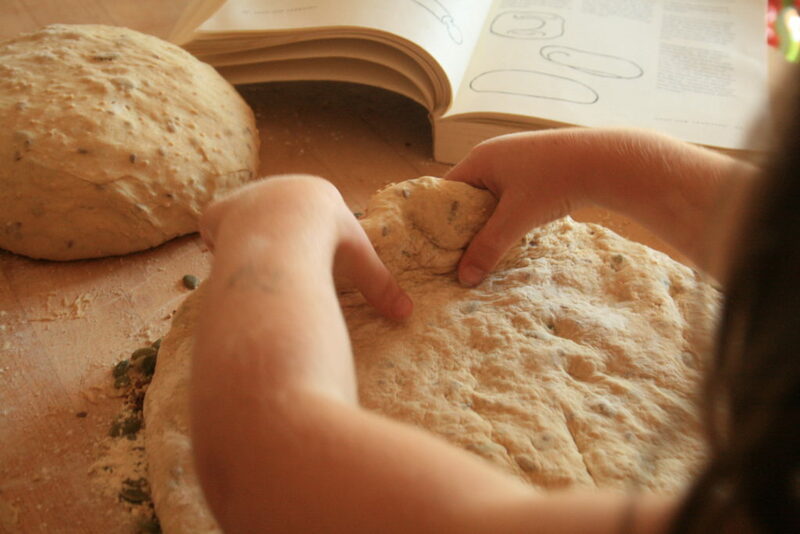 and ultimately producing the bread that is so commonly enjoyed by so many. I love the topics that are covered in the Start to Finish books. They are the sort of things we experience every day of our lives, but might not know how they got to us. These books are for kids, but I want to read these titles as much as my little girl! 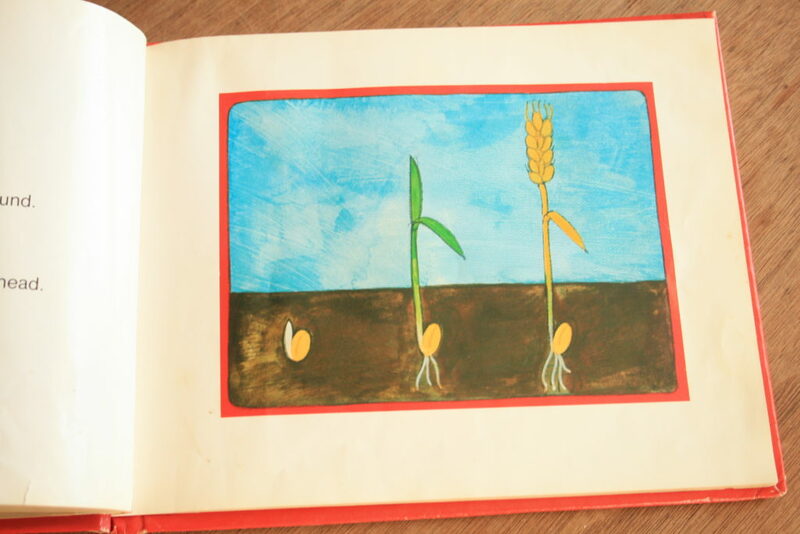 The magic of these books is not in the art (though the images are endearing), it is the words. 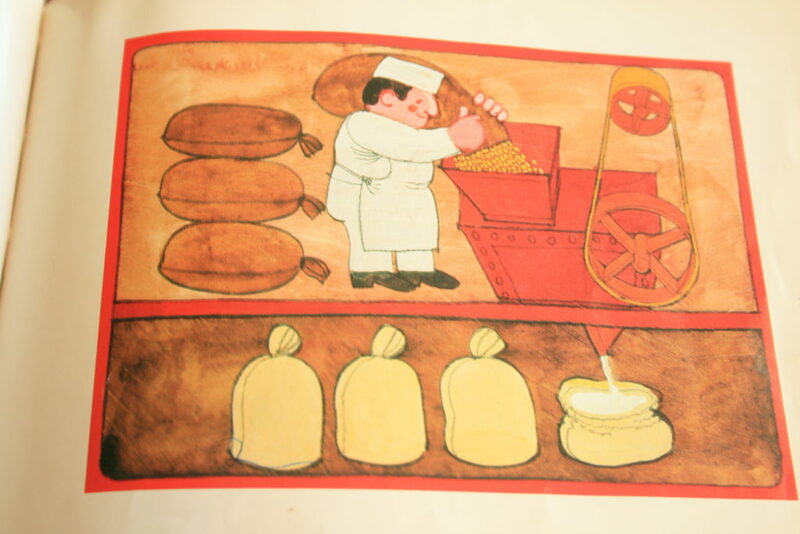 Ali Mitgutsch exercises great skill in breaking down complex processes into remarkably digestible and entertaining words for very young readers, all the while still introducing them to new concepts and vocabulary – wheat kernels, the difference between white and wheat flours, combines, flour mills, etc. Best of all, these books are easy to weave into our lives. Rather than just sit on the couch and read these books, you can use them as a tool in hands-on learning. We have this one to accompany our sewing, and the book in this review puts our baking into context. And SO MANY more fascinating titles like these that you can find on Amazon as well.